Hey everybody ! Minstery’s here ! I love video games (especially on PC ! ), and that’s why I’m here. I’m also fan of music, and of the geek universe (even if I’m not really a geek at the strictly sense,in my opinion). My favorite game is CS :GO, don’t hesitate to send me a message if you wanna play one game ! Passionated of video games for a long time now, I play on PS4 and my favorite games are the following : Rocket League, GTA V, Need For Speed & Batman : Arkham Knight. Don’t hesitate to send me a private message or to directly talk to me on the chatbox ! See you soon on jeu.video ! Je suis Resoher, maman gameuse à vie! J'ai toujours eu la fibre du jeu vidéo. Ma première console: une Atari 2600, j'ai passée des heures sur Space Invaders! Mes jeux du moment: les jeux de réflexion/ stratégie comme le 2048. Je suis surtout accroc à Agario jeu.video. Je joue également à des jeux de plateau comme Monopoly (sur Ps4) ou encore les Mario Party (sur Game Cube) en famille ou entre amis. N’hésitez pas à me solliciter via la messagerie du forum ou directement sur discord! Hello to you, young adventurers, I’m known as Brumere ! I participate LARP, but also to paper RPG, I’m also a game master when there is no hope anymore. My favorite game support is the legendary object, the PC ! But it doesn’t avoid me to play on 3DS or 360, even the PS3 from time to time. My « little » games of the moment are : Overwatch, Warhammer 40 000 : Eternal Crusade, Endless Legends and also the Alpha of Star Citizen. Don’t hesitate to send me a private message, or to howl at the moonlight if you want more informations or play some games with me. Have a good time on the forum ! The Adventure with a big A is waiting for you ! 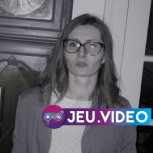 I'm Mme Chancelore, I'm a member of the staff of jeu.video. I play Agario since 2016 but i also play some casual games like Clash of Clans. If you ave any question don't hesitate to send me a message on the shoutbox or by private messages. Hi welcome to the jeu.video forum! I'm TNTten but everyone calls me tnt, my passion is the strategy games on pc, and I'm also a big fan of Agario jeu.video I've been playing since 2017, if you have questions I'm at your service , and if you want to play well I'm waiting for you! Hello, I'm Grimtag, I manage partnerships and external relations on the website. Have fun on the board ! Salut, je suis Plasminds, je vis dans l’Est de la France. Je suis rédacteur en chef et fais également partie de l'équipe technique du site ! Passez un bon moment sur Jeu.Video ! Hi everyone, this is Ephrem. I'm a daddy gamer with more than 20 years of gaming. I mainly play solo games and had to change my habits aiming to not let my daughter do stupid things while waiting for a check point. As it seems, I also have to cook and change her diapers. However, I can achieve a regular basis of 14/15h gaming each week, often neglecting my sleeping time and drinking coffee. I also stream on my personal channel, you are free to come and talk ! Tell me his name again? Vertigoh! Je suis gamer depuis près de 20ans. J'ai trois passions dans la vie: la musique, le cinéma et le jeu vidéo, j'espère donc vous faire partager ma passion au fil de mes articles sur différents sujets! à plus tard sur le site ou le discord! I knew Kirby before it became pink, sonic when he couldn't speak and computers were the future game consoles. Big fan of Nintendo, but hard player at every possible device, I serve the video game art in all its forms. I like to analyze, speculate, rage, write a lot of things and share my passion at any moment. Sometimes grumpy and bad player in-game but offen kind in writing. Coucou tout le monde, moi c'est Guillaume, 18 ans et étudiant en Histoire ! De plus, je pratique régulièrement le tennis et la randonnée. Sinon, j'aimerai bien devenir journaliste (si possible dans l'esport). Et, à côté de mes loisirs, j'organise des tournois sur Clash of Clans. Hi everyone ! I'm BlueNova, i'm the technical manager on Jeu.Video, and i'm studying engineering in the south-east of France. I'm a huge fan of the Legend of Zelda franchise, and i'm currently playing Borderlands, The Wind Waker, or more recently Overwatch. It's with a great pleasure I will see you on the board ! Hi, I'm AkaGame, 20 years old, I'm in the technical staff. I'm mostly playing FPS like Call of Duty, Battlefield, Rainbow six, etc.